Hey TAY, guess what. TAY Talk, the official TAY podcast, is actually on a monthly schedule now! Here’s a brand new episode recorded last night and uploaded just now. This time, Rer and I were joined by returning guest PyramidHeadcrab as well as SirMarth01 from the TAY Discord server. The episode is available now to listen on the TAY Gaming YouTube channel and will be up on iTunes and other podcast apps within the next 24 hours. 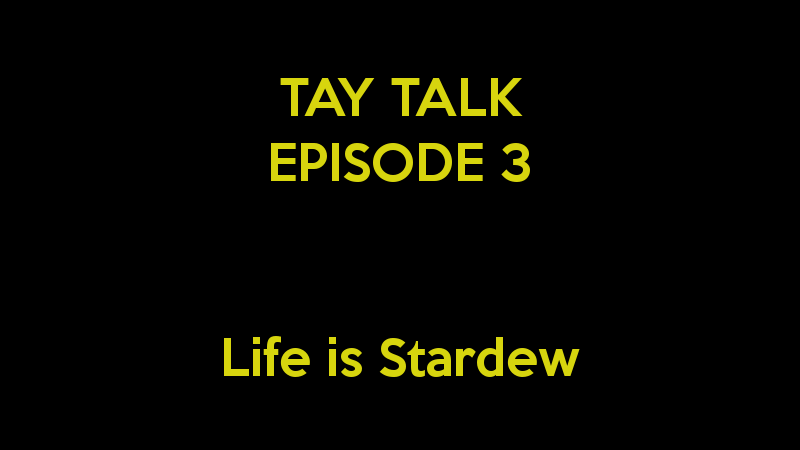 If you’re interested in being on a future episode of TAY Talk, give me a shout and I’ll know to contact you when I’m looking for guests. Also, I’m looking for someone to make me a better podcast header image I can use for the posts here on TAY and every time there’s a new episode.